Ahmedabad, March 19: Nearly two months after the CBI told the special court that it is waiting for the Gujarat government’s sanction to prosecute retired police officers who are accused in the Ishrat Jahan encounter case, the state government refused it on Monday. Earlier, the matter of hearing was posted on February 16, 2019, after which the CBI had replied that the Gujarat government had still not given its reply on sanction to prosecute retired police officials D G Vanzara and N K Amin under section 197 of the Code of Criminal Procedure (CrPC). Ishrat Jahan Case: Awaiting Gujarat Government’s Sanction to Prosecute DG Vanzara, MK Amin, Says CBI. 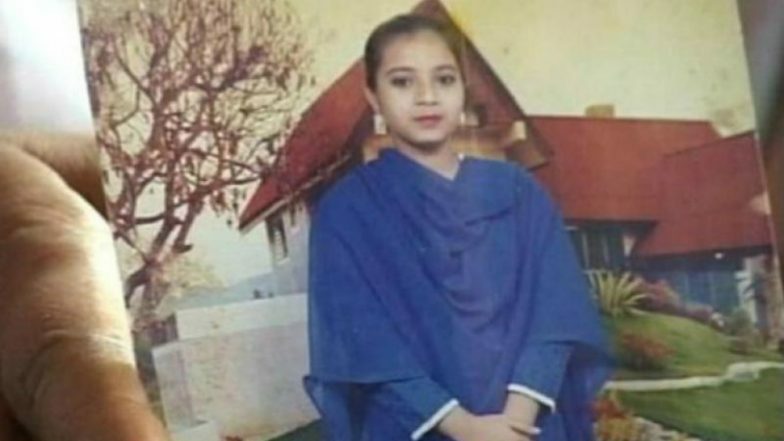 The case is associated with 2004 fake encounter of 19-year-old Mumbai college girl Ishrat Jahan, her friend Pranesh Pillai alias Javed Sheikh and two alleged Pakistani nationals — Zeeshan Johar and Amjiali Rana on the outskirts of Ahmedabad. The encounter was carried out by former Deputy Inspector General of Police (DIG) Vanzara and ex-superintendent of police Amin, who were chargesheeted by CBI in 2013. Five people were also chargesheeted along with these former police officers. According to the police officers, these four ‘terrorists’ were planning to kill Narendra Modi, the chief minister of Gujarat. Making the statement very clear to the special court, the CBI had said in January that they have proceeded in this case after they were ordered to do so by the state government. Asked the duration by the court on how much it will have to wait for the government to respond, Kodekar said that the agency wouldn’t know as it would be decided by ‘higher-level officers’.